A new sister for Plymouth Citybus? The Evening Star can today reveal that talks have been going on between the borough and transport giant Go Ahead, with the firm expected to take over the operation of most of the bus services in the town. Go Ahead has services across the country - mainly in towns and cities - and earlier this month took over the bus services run by Plymouth City Council. The number of council-owned bus companies has fallen steadily since bus company deregulation in 1986 - Ipswich Buses is one of just 11 council-owned companies in Britain. The figures involved in the buy-out have not been revealed. But the Star understands that the deal is near completion and a formal announcement is expected early in the New Year. 1880: First tramway opened in Ipswich. 1903: Ipswich Corporation took over tramway, converted it to electricity and opened new routes. 1926: Tram system closed, all vehicles replaced by “trackless trams” - trolleybuses. 1950: First motorbuses run - to Maidenhall and Whitehouse, soon these services extended to the new Chantry estate. 1963: Last trolleybus service ran. 1986: Bus deregulation came in, buses no longer run directly by the council but by a council-owned company. Later that year all buses became one-person operation, conductors became a thing of the past. 2003: Ipswich Buses celebrates the centenary of council-owned transport in Ipswich. 2010: Bus company sold to Go Ahead? 07:09 Updates are coming in regularly from our drivers so please visit here regularly if you intend to go out this morning. Holly Park is now out. 07:41 Longbridge Road at the rear of Marsh Mills, and the Toshiba end of Ernesettle, are out of bounds to us. 07:48 We have now pulled all buses out of Transit Way because of the icy conditions. Fortunately it does appear to be slowly starting to warm up. Fingers crossed we can soon start returning to some of the routes we have abandoned. 08:23 Taunton Avenue in Whitleigh is now closed to us. 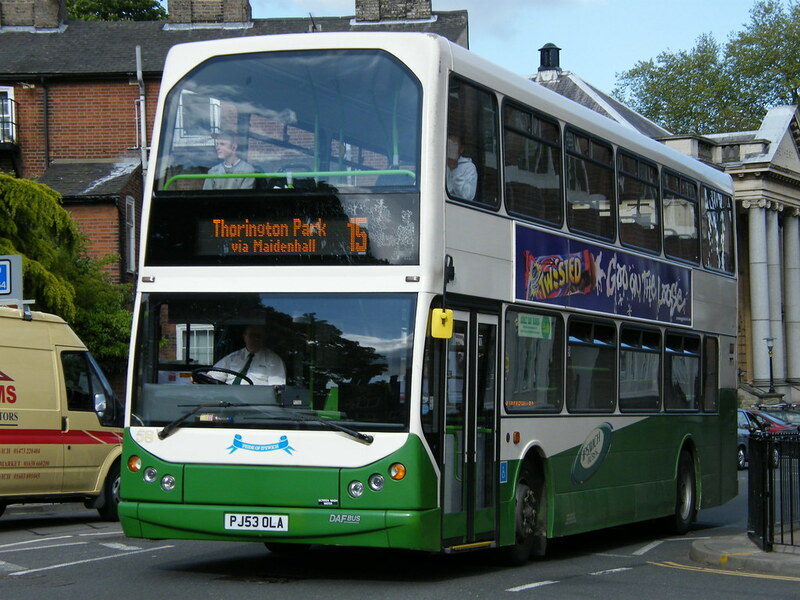 The service 12 and 12A in Plympton has been completely withdrawn. 08:49 Thanks to the helpful residents in Holly Park who haved been out and gritted the roads themselves we are now able to send the buses back in. Thank you! 09:23 We are back in Kings Tamerton and Keswick Crescent. Thanks to BBC Radio Devon and Heart Radio who have been advertising our delays. 10:05 Deer Park Drive now closed due to a three car accident. 11:40 With the exceptions of Saltash, Whitleigh, Leatfield Drive Toshiba and Merafield - we are all back top normal. Thank you all for your patience. It has been a very busy morning here!! 12:15 We are back to normal in Saltash except for the 152 service which has to remain on the main roads. St Georges Avenue, etc will be out of bounds for some time yet. 12:20 Were are almost back to normal in Whitleigh with only the actual Green still closed to buses. 20:49 That's it for now all the buses are back in the depot and our staff are set to enjoy a well earned break with families and friends We'll be back on Sunday with a full Sunday service and we'll be busy taking our customers to the sales Please tell all your friends about our facebook page and twitter account - it's our way of keeping customers up to date Take care and enjoy the festivities Don't forget to come back! 09:35 It might be a Sunday service but Plymouth Argyle are at home to Reading today so if you are off to support the Greens don't forget all our football specials will be running for you. Can Argyle continue their winning streak? GREEN ARMY!! 17:33 Well done Plymouth Argyle a 4 -1 defeat of Reading. A cracking result. 17:39 On Tuesday Wednesday and Thursday this week we will operate a Saturday service for you. On Thursday New Years Eve we will stop running at 2000 times of the last buses are also on the website.